Within the industrial community, flange protection and preservation represent a significant expense in the manufacturing, transportation, storage and handling of critical surfaces. This expense is further compounded due to costly repairs resulting from improper, ineffective or inferior flange surface preservation materials and/or procedures and the application thereof. With the slowdown in the industry, we are all faced with coming up with creative ways to reduce cost and save time and money. 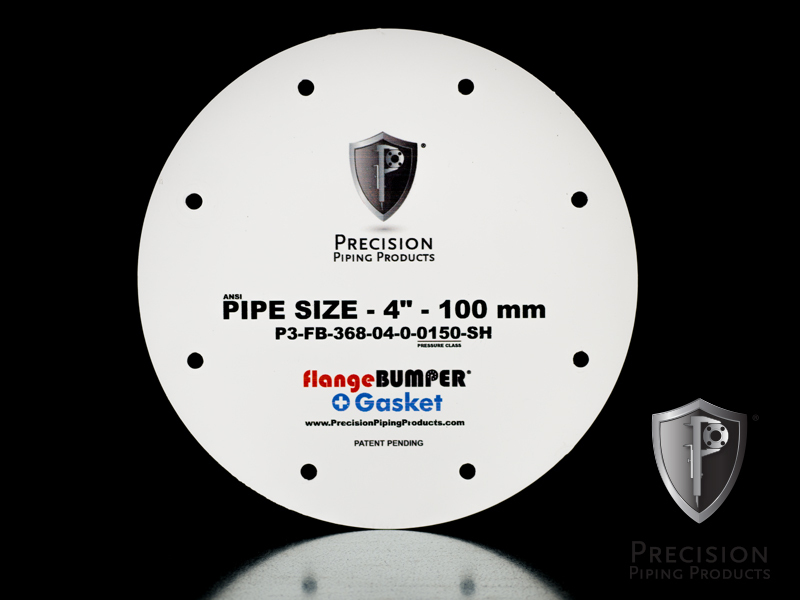 Precision Piping Products™ (P3) has the answer and is committed to providing guaranteed cost saving solutions for all of your flange protection needs. If you are wanting to protect your flanges from damage or corrosion, you’re in the right place; we offer an entire line of products meant to do just that. From blasting and painting, to shipment and storage, we’ve got you covered! Each of our products has been carefully designed and crafted to not only serve its intended purpose of flange protection, but many of our products have more than one use or application. Some can be used in conjunction with other P3 products and many are reusable. Call us today for more information on P3 Flange Protection Products. 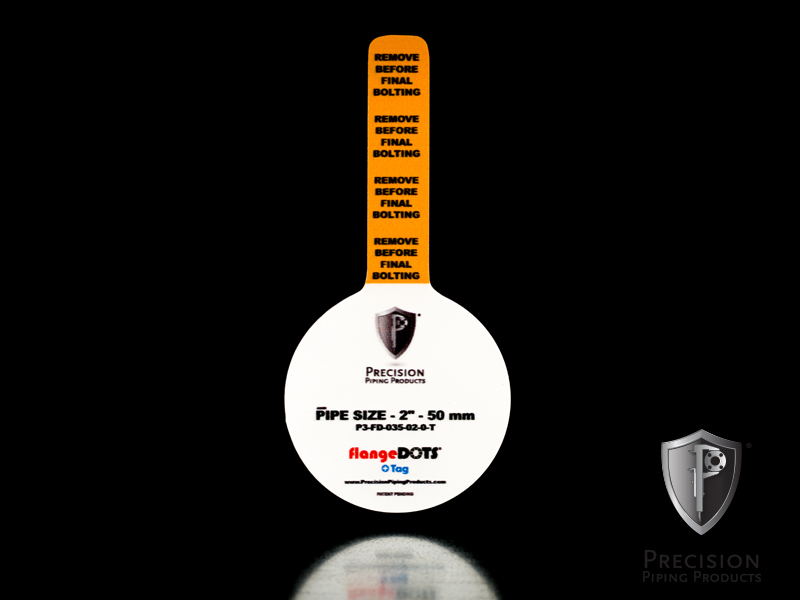 This self-adhesive flange protection product, flangeDOTS®, takes protecting your flanges to a new level. 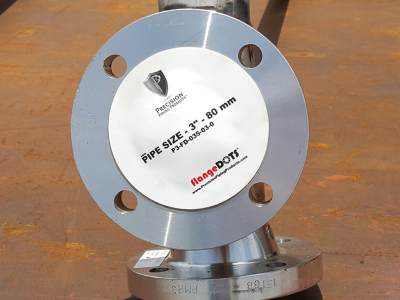 A rendition of our flangeDOTS™ with an adhesive tag that protrudes from the flange face to act as an immediate reminder that it is in place, even if it is left on after test fitting pipe spools. flangeMAGS® are designed to protect the gasket surface area of a raised face (RF) flange and ring type joint (RTJ) flange. Manufactured from a tough rigid laminate to specifications of pipe size and pressure class. Our flangeBUMPER™+Gasket provides unparalleled protection in an affordable and lightweight package. batROLLS™ provide adhesive, customizable, surface area coverage. flangeRINGS™ were created in the wake of the growing popularity and success of P3 flangeDOT®. multiNUTS are an innovative, revolutionary Patient Pending design that enables smaller, more cost-effective fasteners to be used in place of larger fasteners in situations where full torque fastening is not required. Corrosion prevention is key to a flawless project and using an excellent corrosion inhibitor is one way to achieve that. Corrosion is the leading cause of damage related issues in the oil & gas piping industry, especially on the gasket surface area of a flange. Durable, reusable P3 exhaustCOVERS™ are a must have for rework shops and storage facilities. The groutDAM™ was developed to allow customers to quickly and inexpensively seal off sole plates for grouting. P3 designs and manufactures custom products for our customers to protect critical surfaces from damage while increasing productivity and lowering costs.